Horoya band's masterpiece !!! 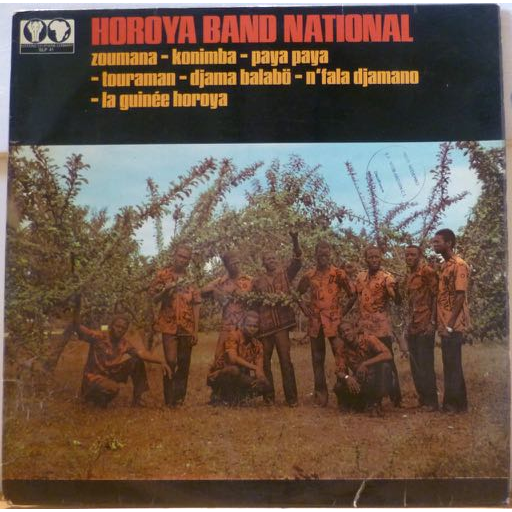 Harder to find mandingo afro jazz LP from Guinea w/ the amazing "zoumana" & "djama ba labo". Sleeve has some aging, light brown water damage on spine & bottom seam & mouth, rubber stamps on cover & labels, record plays well with just occasionally noticeable noise from marks, very shiny.